I will be contributing book-related pieces to the badass www.przman.com, a mens’ lifestyle website. My first piece–5 books from 2011 that must be on your radar–will appear in two weeks. Stay tuned. My contributor’s note us up, and my new fancy-schmancy author photo will be up soon. 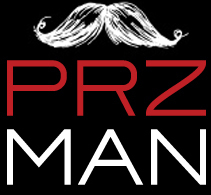 In the meantime, check out PRZman. It’s awesome.